The Federal Reserve’s two-day meeting concludes Wednesday. To the extent an FOMC meeting is ever routine, this should be it. Its forward guidance evolved at the end of last year. The “considerable time” between the end of the asset purchase program, which it never called quantitative easing, and the first hike has been replaced with “patience”. At Yellen’s first press conference last year, she abandoned the Fed’s purposeful, strategic ambiguity and suggested “considerable time” was around six months. She again yielded to temptation in December to define “patience” as a couple of meetings. The January meeting is covered by that forward guidance. It is unlikely to change. The next meeting in March is a different story. If the Fed wants to prepare the market for a potential rate hike in the middle of the year, the March meeting, which will see updated macro-economic forecasts and a press conference, is more important. Patience at the March meeting would seem to preclude a June hike. 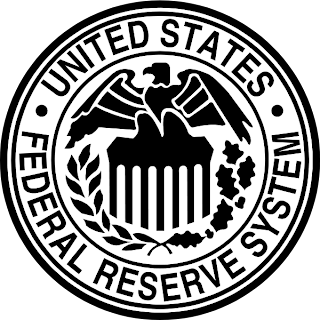 Economic activity has unfolded largely as the Federal Reserve anticipated. Its macro-economic assessment is unlikely to have changed dramatically over the past six week. There was an unusual large number of dissents at the December meeting. Not only have those regional presidents surrendered their votes on the FOMC amid the annual rotation, but all three have indicated plans to resign this year. The decline in yields at the short-end of the curve, including the Fed funds and Eurodollar futures, suggest that the consensus that expected a June hike may be fraying. There are three reasons for the creeping doubts, and they are related to each of the Fed’s three mandates: price stability, full employment, and financial stability. At heart of the matter are developments in Europe. The dramatic decline in the euro and European interest rates is spurring a strong dollar rally. The dollar’s appreciation will, the argument maintains, undermine US exports and growth, slowing progress in the labor market. The dollar’s rally will further depress prices. The Fed’s preferred measure of inflation has been below target for nearly three years. The flow of capital out of Europe may endanger US financial stability. While the economic theory behind these concerns is valid, in practice a more nuanced picture emerges. And one that may not pose a significant hurdle to a mid-year hike. The US is the world’s third largest exporter (behind China and Germany), but that is not the primary way US companies service world demand. For historical and institutional reasons beyond the scope of this short note, US companies service foreign demand primarily by building and selling locally. The majority owned affiliates of US multinationals abroad will sell 4-5x more goods and services than the US exports. That means that local production takes a larger hit when local demand is weak rather than US-based facilities. The US exports about 13% of GDP. This is relatively low among the high income countries though we should note that Japan, which is often mistakenly said to be export driven, exports about the same as the US as a percentage of GDP. US exports are near record levels. The best thing for US exports, if that is one’s focus, is stronger world demand, not necessarily a weaker dollar. US officials recognize that Europe and Japan are taking measures that can help to facilitate stronger growth. Through various administrations, the pro-growth stance of the US officials has remained a relative constant. It is not, of course, that growth solves all the problems, but it does make the problems easier to address. While the euro area stagnated in the April-September 2014 period, and the Japanese economy contracted, the US experienced its strongest growth in over a decade. The US economy is expected to have continued to growth above trend in Q4. That data will be reported at the end of the week. Headline inflation in the US is set to fall further under the weight of the decline in energy prices. A negative year-over-year print cannot ruled out. The Federal Reserve differs from most other major central banks by targeting what is called core inflation in the US, which excludes food and energy. Fed officials are well aware that households pay for food and energy. The reason to exclude them for policy purposes is that they are volatile. They can obscure the underlying signal. For the past half century, headline inflation has converged with core inflation; not the other way around. The Fed’s leadership has signaled that it would look through the one-off decline in inflation sparked by the fall in energy prices. The stimulative impact on demand is regarded as more permanent, provided energy prices stay low. There may be some bleed through as the drop in energy has some modest knock-on effects on the core rate. Transportation costs may decline though it is not yet apparent in airfare. Public transportation costs are administered prices and are unlikely to be cut. A ride on the New York subway, for example, is about to rise by 10%. Around 40% of the core basket is accounted for by housing costs, and these do not appear poised to decline. The dollar’s appreciation can be expected to exert downward pressure on import prices. However, much of what the US imports are priced and invoiced in US dollars. This is an import mitigating factor that is often not appreciated by observers. The last time the Fed began a tightening cycle, the core PCE deflator, the Fed targeted rate, was not far from current levels. Back then, in 2004, the Fed did not have a formal inflation target, but it is instructive nonetheless. The same is generally true about the unemployment rate. By mid-year, the national unemployment rate is likely to have fallen further. In addition, a strong majority of states will also have unemployment levels that economists regard as full employment. It is true that the participation rate has fallen. It appears that retirement and returning to school are two major contributing factors. There has also been an unusual increase in workers on disability insurance. The point is that the Federal Reserve is already showing patience. The current macro-economic performance in past cycles would have arguably already seen the Fed begin a tightening cycle. Indeed, part of the dollar’s appreciation is predicated on anticipation of Fed tightening. Some observers suggest that the flow of European savings into the US may jeopardize the Fed’s third (and often forgotten) mandate financial stability. However, they mistakenly think this could deter Fed tightening. To the contrary, concern about financial stability has been cited by the hawks on the Federal Reserve to hike rates rather than the doves who are concerned about the low levels of inflation. There are two other reasons what a June rate hike should not be abandoned yet. First, the tapering was indicative of the process the Fed is pursuing. It gave investors, businesses and foreign countries several months of advanced warning that it would slow its asset purchases in a measured manner. It did precisely that. Neither the contraction in Q1 14 GDP nor the acceleration of job growth took it off its course. The leadership of the Federal Reserve has indicated that it is getting closer to its first hike. The evolution of the macro-economic data will determine the exact timing, but near midyear, that have said, still look reasonable. The Fed’s transparency and credibility rests on it saying what it will do and then doing it. Second, it is not clear when the next economic downturn will begin though we can feel fairly confident that it will not be this year. 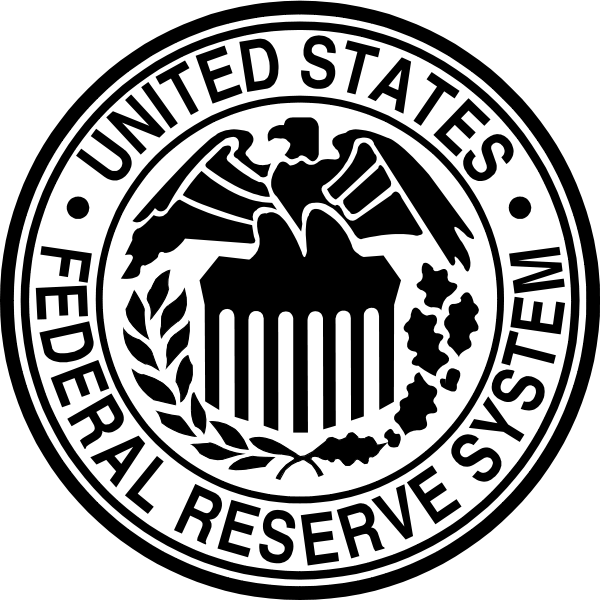 The Federal Reserve needs to create the conditions to allow it to cut rates rather than resort to new asset purchases. In order to do this it needs to raise rates. This can be parodied as saying rates have to be raised so they can be cut, but it does not do this argument justice. The bottom line is that the January FOMC meeting will most likely pass without much impact. Clearer indication of the Fed’s intention in Q2 will have to wait for the March meeting. While some are observers are having cold feet, we continue to think that a June hike remains the most likely scenario. If we are wrong, it is that the hike is delivered in September instead. Regardless of the exact timing, the US economy and the Federal Reserve are well ahead of most of the major central banks in the larger business cycle.